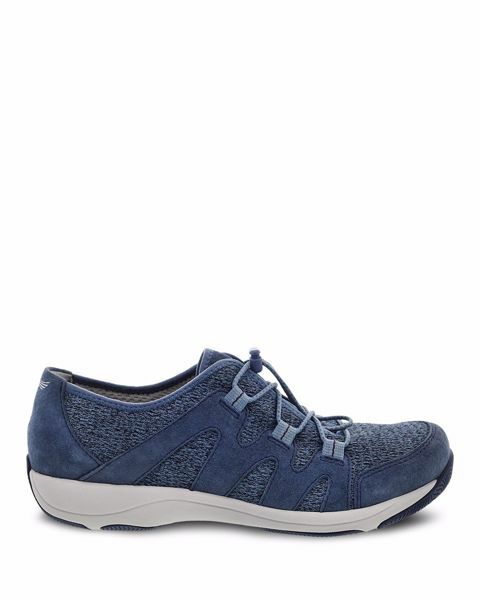 The Holland sneaker features easy on/off with adjustable bungee laces, stain-protected leather uppers, soft textile linings for all-day comfort, a removable, contoured PU footbed with memory foam and built-in arch support for all-day comfort, and a rubber outsole for long-lasting wear. This shoe is wonderful! You have to try them. I'll be ordering another pair in another color. I love this line. I now have two pairs of this line alone. Dansko has become my very favorite brand of shoes because they are built well and fit my troubled feet well. It took me about a week to break them in. Now they’re great! Love them! Feels like I’m wearing socks! Q: What is the difference between Holland and Honor shoes? The Holland and Honor styles are from the same collection and will offer the same support and comfort from heel to toe. The only difference between the two styles is the upper design and colors offered within each style. Q: Are these shoes latex free inside? Latex is used in the glue for many of our styles. Since glue is used in the construction of Holland, there will be latex.